Next month will mark five years since Microsoft announced its ID@Xbox independent game developer program. The first ID@Xbox game shipped in April of 2014, and since then the program has seen more than 800 games launched, combining to surpass more than $1 billion in revenue. That number could grow significantly in the future, as there are more than 1,000 additional titles currently in active development in the ID@Xbox program. Speaking with GamesIndustry.biz at E3 this year, ID@Xbox director Chris Charla reflected on what the program has accomplished since its inception. "We've been proud we've been able to build something, and it's great to see developers bringing their second game, their third game, in some cases their fourth game to Xbox One," Charla said. "To me that means developers are having success and we're running the program well. If we tell a developer that something's going to happen, either we're featuring it in a marketing promotion or it's going to be on stage at E3, we follow through on that. And if we weren't doing that, I don't think developers would keep coming to Xbox. "If I look at the last five years, the fact that we're seeing repeat games and repeat studios coming to the platform makes me feel good about the job we're doing"
"I don't say that to sound cocky or anything like that. Trust me, we have feet of clay. We know we have tons of work to do. We mess up like anybody else and we hear it from developers. We're always looking to do better. But if I do take a step back and look at the last five years, the fact that we're seeing repeat games and repeat studios coming to the platform makes me feel good about the job we're doing. Please don't interpret that as 'We're going to coast or slow down.' We've got a lot to do." When asked what areas of the program are the biggest pain points in need of improvement, Charla pointed to two problems, one of them logistical and readily fixable, the other... less so. "The biggest pain points we have with ID right now would be like, something breaks," Charla said. "We have an automatic email trigger when something happens, but something breaks on the back end, the developer doesn't get the email, and we don't find out [the trigger] was broken because it fixed right away and they don't know they were supposed to get that email, and then we have to fix it. It's not a huge deal, but that is something we're always working on. "The other thing is just discoverability and promotion. The biggest issue for independent developers is a lot of times, they're really heads down making their game, which is what they need to be doing. And the rules and conventional wisdom for the best way to market your game and get discoverability change constantly. They're different now than they were five years ago. They're different now than they were 18 months ago. They're probably different now than they were yesterday. And it's hard for a developer to keep up with that." Charla told us very much the same thing last year, suggesting that while the conventional wisdom itself may change, the conventional wisdom about how fast conventional wisdom changes does not. "I think you want at least one show season to be talking about your game, and maybe you want more than that"
"We do as much as we can to educate developers, to say like, 'Based on the sales data we've seen for the last year, announce a full show season before you need to ship.' So you get an E3, a Gamescom, a couple PAXes, and you can really try to build things up," Charla said. "Or 'Announce as early as possible.' Or 'Ship on a Wednesday,' or 'Ship on a Friday.' Whatever the latest is, we try and tell developers. But it's hard for the devs to constantly be in tune with that, so that's something we're always working on. And I don't think we can fix it. I don't think we can magically mind-meld with 2,500 studios. We can just constantly try to let people know the latest info and let them do what's best." Two of the big questions that seem to have constantly shifting answers are "When is a good time to announce a game?" and "When is a good time to release a game?" 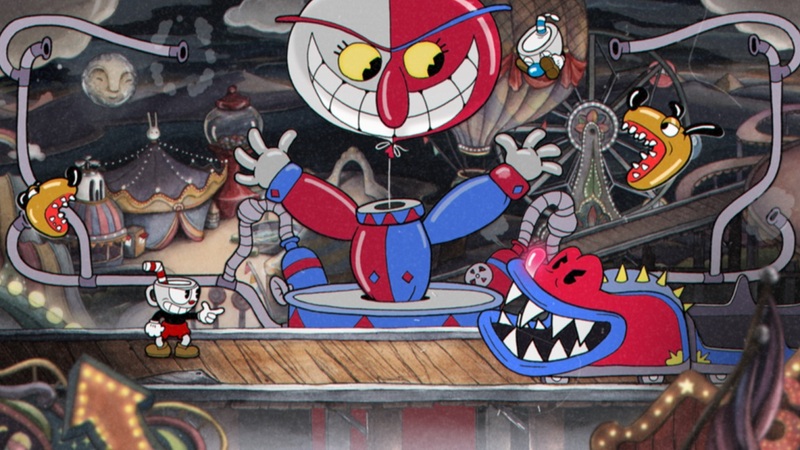 Charla tracked the changes on the former question, saying, "It changed from announce as early as possible to announce much closer to ship, and then I think the success of Cuphead changed it back to, 'Maybe it was a good idea to announce early.' It's hard to say, but I think you want at least one show season to be talking about your game, and maybe you want more than that." As for release windows, Charla said there are some general guidelines that don't seem to change much, like "Stay away from big titles." That wasn't such a hard task years ago, but AAA publishers have become increasingly bold in launching big games outside the traditional holiday release season, and there's no shortage of independent releases (high-profile and otherwise) to make good windows that much harder to find. This year the problem is especially acute, as Red Dead Redemption 2 seems to have pushed a number of AAA releases earlier or later than they would normally be expected to launch, possibly marking off the entire fourth quarter as a no-fly zone for indies. "So what do you do?" Charla asked. "Do you say I'm not going to fly then, or nobody's flying then so I'm going to give it a shot? It's a really hard question to answer, so what we try and do is just give developers all the information about what's happening and they're ultimately the people who need to make those decisions. Our job is just to tell developers everything we know, because we have the benefit of having a broader view, of always having a 10,000-foot view. So we can let people know what's going on." "Years ago we would have said, 'Never ship in December'... Now all of a sudden, December's kind of interesting"
However, even that 10,000-foot view on release dates is evolving. "Years ago we would have said, 'Never ship in December,'" Charla said. "But then Ark ships in December and kills it. Astroneer ships in December and kills it. PUBG was going to kill it anyway, but it shipped in December and killed it. Now all of a sudden, December's kind of interesting. So we'll tell people that, and then we'll also tell them that we're telling all their friends, so I don't know if you necessarily want to ship then. It's sort of art and science." That's not to say Microsoft's role in solving discoverability problems on its platform is limited to giving developers the lay of the land. The company is always working on its digital storefront's ability to connect developers' games with the audience most likely to be interested in them, and Charla said moves like including some ID@Xbox titles in the Xbox Game Pass subscription service at launch are helping address the problem. Additionally, there's the company's handful of big press events throughout the year, in which it continues to feature indie developers and the ID@Xbox program. And while Charla's been in the industry a long time now (starting as a games journalist in the mid-'90s), he's still not relying solely on his own assessment to determine which games are deserving of those coveted showcase spots. "We work really hard to make sure when we're looking for cool games to partner with or to feature on stage at E3 or a show, that we get as diverse a set of people in the room as possible," Charla said. "No matter what the opportunity is, we can't feature everybody. We know we have limits. But what I can't emphasize enough and is crucially important to the program, is that the way we want to run it, everybody has the opportunity to pitch for those spots... We'll probably do it two or three times a year, where we have like three, four or five days where it's all day watching videos. "Everybody takes it really seriously, but it's also some of the most fun stuff we get to do. The great feeling is when something comes out of left field that nobody expected and everybody looks at the video and is like, 'What was that? That is awesome!' And the next thing it's in a kiosk or on stage." I can't speak highly enough of Chris and his team, incredibly responsive and always there for indie devs, congratulations on the past five years from all at Big Ant Studios. Keep up the great work Chris + Ago + team!